Successfully Added Mini DLP LED Projector for Mobile Phone - Built-in 1850mAH Power Bank, 640x480, 1000:1 to your Shopping Cart. 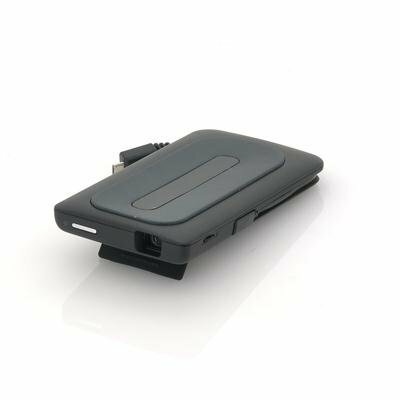 Mini DLP LED projector for use with Mobile Phones that produces a 35 ANSI Lumens projection up to a distance of 2 meters and also features a built-in power bank to charge electronic devices. 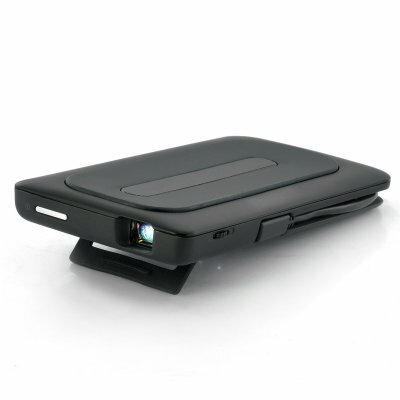 View your mobile phone contents with this Digital Light Processing projector that has an LED light source, which can connect to several hardware devices via HDMI or USB. This is a plug and play product and is compatible with most Android phones that support MHL and micro HDMI interface. Mobile High-Definition Link (MHL) is an industry standard for a mobile audio/video interface that allows consumers to connect mobile phones and other portable consumer electronics (CE) devices to high-definition televisions (HDTVs) and displays, or as in this case a mini projector. The mini projector is small and very compact when being carried around and wouldn’t be a burden with its size or weight. The DLP optical with RGB LED technology provides a wide range of true colors in high contrast. The resolution offered is 640x480 pixels allowing a clear and stable projection; therefore you can easily see the display that is shown on your mobile phone that is being mirror projected. Another great feature is that this Mini LED projector has a built-in power bank so you can charge your mobile phone from this projector via one of the connections. The battery type is an Embedded 1850 mAh Li-polymer rechargeable battery that can be charged up from a computer via the USB connection. This Mini LED projector is an ideal accessory for any mobile phone enthusiasts that wish to play their games or view their mobile phones contents in a larger projection display. This product is in stock now and ready to be shipped out within 24 hours of ordering. Brought to you by the leaders in electronic devices and mini projectors, Chinavasion. Please be warned that this mobile phone is only compatible with certain types of Android phones and it is recommended that you check if your mobile phone is capable of supporting this LED projection hardware.